We are a Dog Friendly Dealership! Bring your best friend along! Introducing the all-new Harvey Subaru. From The Harvey Family To Yours! Harvey Subaru is your new Subaru and used car dealer in the Arklatex region, serving Shreveport, Alexandria LA, Monroe LA, Longview TX, Texarkana TX. We invite you to become a part of the Subaru community and the all-new Harvey Subaru Family. While Harvey Subaru is an all-new, state-of-the-art Subaru facility, the name Harvey is well-known and respected, in the automotive industry and the Shreveport/Bossier City community, and has been for over 30 years. It is a family-owned and operated business. The staff here at Harvey Subaru are committed to customer service and satisfaction. We strive to treat each customer as a guest in our own homes. This is a place where you can come with your guard down, we will not push or rush you into anything. We are here to help with your search and will continue to be there for you for the life of ownership. Buying a vehicle should be exciting. At Harvey Subaru we are chill. So let loose, laugh, dance, sing and enjoy the best car buying experience you have ever had!! Like us on Facebook and you'll get to see all of the community events our dealership and staff are a part of. We welcome you to join our Harvey Subaru family and get involved in the Subaru community. New 2018 - 2019 Subaru or Used Car: Getting a Car Loan at Harvey Subaru Serving Greater Shreveport & Texarkana is Easy! With a great selection of new Subaru and pre-owned vehicles, a knowledgeable sales staff and an experienced finance department, getting the vehicle of your dreams has never been easier. Our skilled and knowledgeable staff has many years of experience satisfying customers' needs. 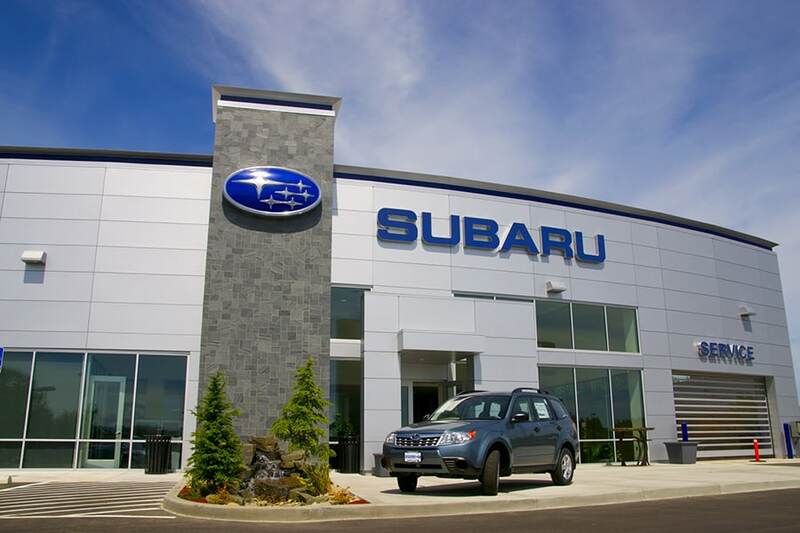 Located in Bossier City, Louisiana, the staff at Harvey Subaru will help you find the Subaru vehicle you want. At Harvey Subaru we offer many well-maintained used vehicles made by today's top manufacturers, as well as searchable online inventory of brand new Subaru cars. Come to our dealership and take a test drive today! Our sales staff is eager to help you find the perfect new Subaru or well-maintained used car that you've been looking for. Our great customer service doesn't end there. Customers can come in and receive assistance from our knowledgeable Subaru car repair technicians or you can schedule an appointment online. We know that some people like to take auto service and repair into their own hands, so we also have a parts store where you'' find everything from genuine Subaru brakes to oil filters, rotors to axles. If you're a novice mechanic, our knowledgeable staff will even help you figure out which part you need. No matter what you're vehicle looking for--Subaru Forester, Crosstrek, Legacy, Outback, Impreza, WRX or a pre-owned truck or car--Harvey Subaru is at your service. Can't find what you're looking for? Simply click on CarFinder and fill out the form. We will let you know when vehicles arrive that match your search! Would you like to visit us in person to talk about your options with our friendly sales staff? Click on Directions for helpful driving directions to our dealership. We are conveniently located at 3351 Benton Road in Bossier City. You can also contact Harvey Subaru any time by calling us at 1-888-232-4109 or by filling out our contact form. Everyone at Harvey Subaru is looking forward to helping you and making you a member of the Harvey family of customers!